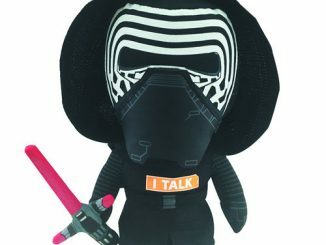 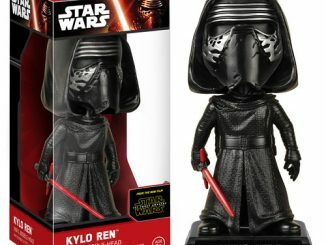 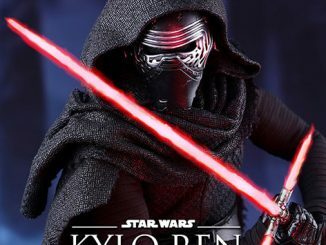 The Star Wars: Episode VII – The Force Awakens Kylo Ren Force FX Deluxe Lightsaber Replica is the lightsaber that you have been waiting for. 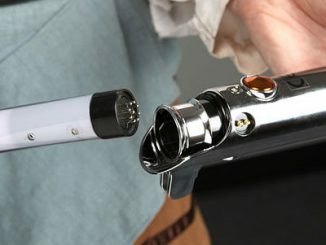 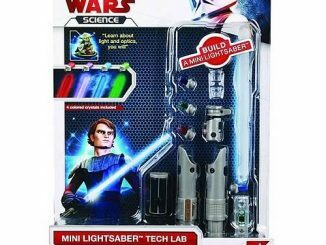 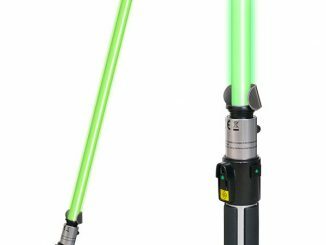 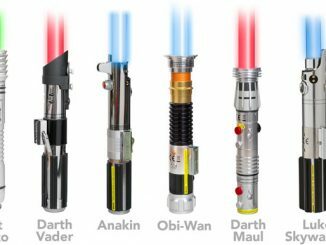 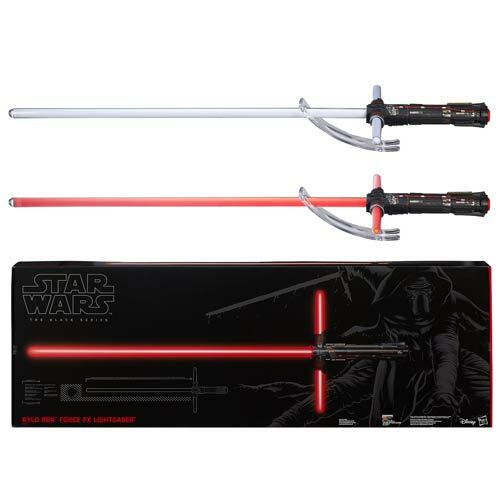 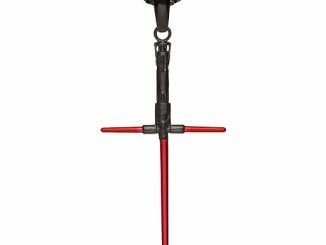 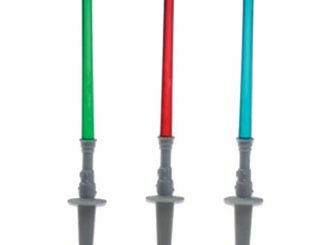 This lightsaber replica includes a cool display stand and three light-up elements on the hilt, just like in the movie. 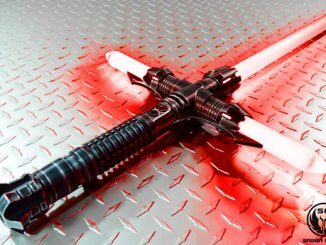 The sturdy, red, polycarbonate blade features realistic power-up and power-down glowing light effects. 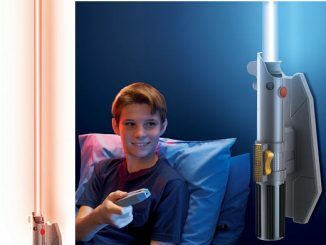 It also includes digitally recorded and motion-sensor-controlled authentic sound effects like power-up, power-down, idle, movement sounds, and clash sounds. 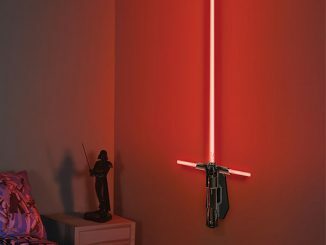 It measures 43-inches long and 14-inches wide.